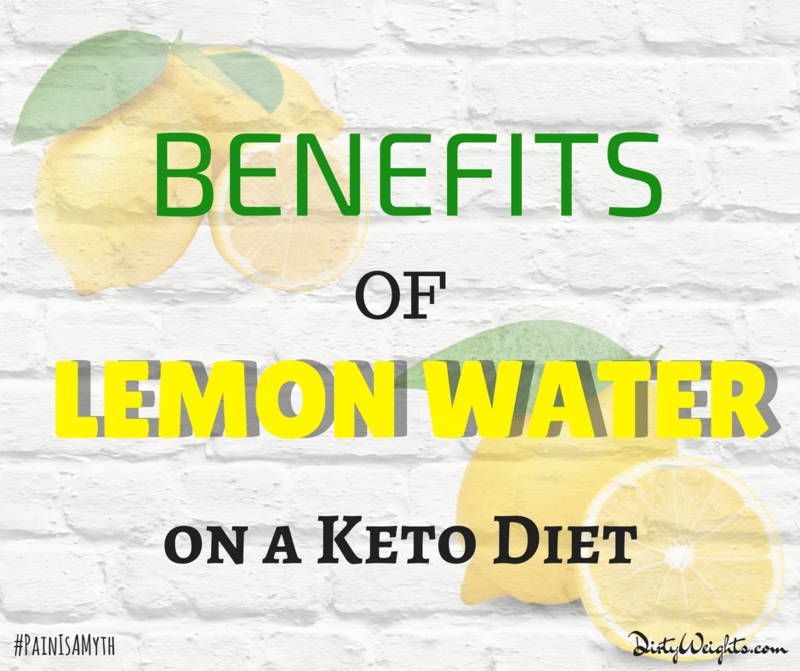 Benefits of Lemon Water on a Keto Diet and More! If you’ve been on a keto diet for some time and maybe hit a plateau or feel flat out tired… Then you should try a healthy electrolyte-packed dose of lemon water. If you’re estrogen dominant on keto then lemon water is a perfect remedy because it contains plant pectins which destroys toxins in the liver. Lemon water is also good for inflammation in the joints as well as many other benefits. Oh yes!!! Nature truly has all the substances readily available to take care of our health. The yellow fruit may be really tiny, but it packs a whole arsenal of health benefits, unmatched by any product of nature. And it’s not just the fruit pulp inside that’s beneficial, even the skin of the lemon has many useful properties. All of this at the most simplest process and cheapest cost. The most effective way of exploiting all of lemon’s benefits is by consuming it – there is a common saying that you are what you eat, and if you’re good on the inside, then you’re good on the outside, and so on.The simplest and most straight-forward way to have lemon is in its basic form – as lemon water or dilute lemon juice – a revitalizing and refreshing drink that is as healthy as it is delicious. Should I Drink Hot Lemon Water? What About a Lemon Water detox cleanse? Lemons are the jack of all trades in the nutrition world, having several minerals, vitamins and other nutrients and with almost zero sugar and calorie content (okay, not zero, but only 25 calories, which is very less) – bingo for all those serious weight watchers! Now for some facts. A single glass of freshly squeezed lemon water carries about 187% (for two lemons’ juice) of the recommended daily intake of Vitamin C – making it the most Vitamin-C loaded fruit, even amongst the citrus family. Vitamin C – lots and lots of it! Kiss goodbye to all your low-immunity problems. This means you never have to visit the doctor for a simple case of flu ever again. Vitamin B- yes, all of them, in considerable amounts. This is thus a good natural replacement to your vitamin b complex supplements. Potassium- Lemons have more potassium content than that found in most other fruits, such as apples and grapes, except for bananas – that is the king of potassium. Fiber – provided you don’t filter out the pulp, fiber makes those inner guts happy. Water, of corse, as the main dilution ingredient – hydrates and aids good metabolism. Now, there are many views and ideas floating around on how and when taking lemon water reaps the maximum benefit. After many studies, researchers say that normal temperature lemon water is the best for your system. Cold lemon water can be a little too much of an abrupt shock to your body and may disrupt with the digestive processes whereas hot lemon water can actually damage the beneficial enzymes in the lemon. Several studies and many experiences suggest that drinking a glass of lemon water first thing in the morning on an empty stomach maximizes it’s positive effects on the digestive system of the body. This is because the acidic nature of lemon water induces the natural secretion of hydrochloric acid in the stomach, which is the most necessary element involved in the whole digestion process. Thus having it in the morning, about 15-30 minutes before breakfast ensures effective digestion throughout the day with more nutrient absorption, and also, to a great degree, better excretion of waste from the body. What’s more, a good power booster in the morning with a sharp tangy refreshing taste only helps you begin your day with a bang! There’s just one thing to keep in mind though – the citric acid found in lemon is a tad bit too strong that it may end up causing harm to the enamel covering your teeth. This is the main reason why dilute lemon water is consumed, especially if it’s taken as a daily routine, as opposed to concentrated lemon juice. Another way to reduce the harmful effects on your teeth is to drink the lemon water BEFORE brushing, in which case the bacteria present in your teeth from the night before will offer at least some protection. Also, using a straw will reduce the spreading of the juice in your mouth, as it will go straight into the back, and a probable rinse with some baking soda after drinking will resist the citric acid from eating away the enamel. A regular and healthy ingestion of lemon water is probably the best thing that you can ever do for your body – consider it a reward for handling all the modern day stresses and rigorous workloads. It greatly enhances your body’s overall health and you know what they say – a healthy body leads to a healthy happy life! 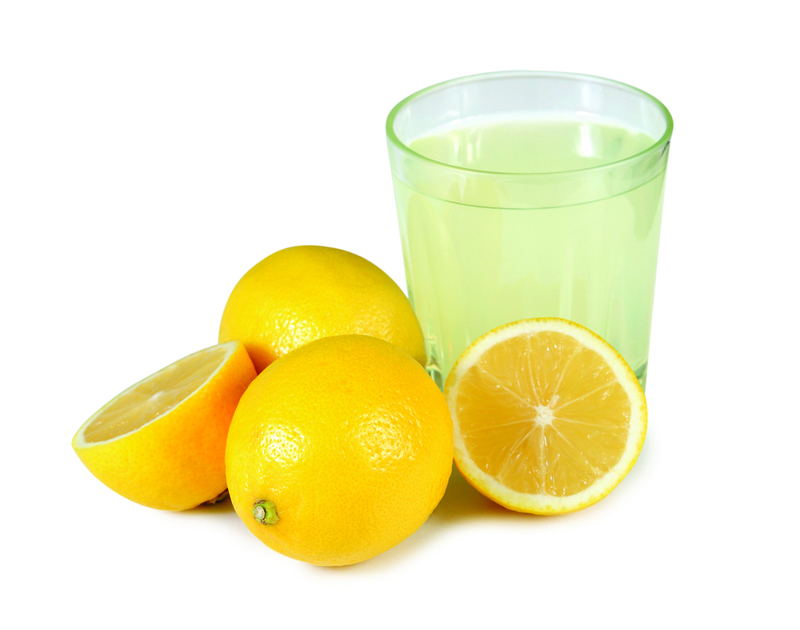 Although it is necessary to control the intake of this juice – over-consumption may lead to some detrimental effects, such as increased acidity and heartburn in some people, especially in those who are known to have gastrointestinal reflux, or GERD – in which case, it is advisable to consume lemon juice in moderation. The benefits of drinking lemon water can never be over-rated. It’s actually quite hard to believe that something this delicious and refreshing can also be this healthy! Even the laziest person can benefit from this drink in two simple steps and get all the advantages this little magic drink has to offer. From helping in digestion to reducing age-related skin problems, lemon water can do it all, and even more! Try this drink for a few days, and tick off all the benefits mentioned below, as you experience them. Read on to know the details. Even the laziest person can benefit from this drink in two simple steps and get all the advantages this little magic drink has to offer. From helping in digestion to reducing age-related skin problems, lemon water can do it all, and even more! Try this drink for a few days, and tick off all the benefits mentioned below, as you experience them. Read on to know the details. Try this drink for a few days, and tick off all the benefits mentioned below, as you experience them. Read on to know the details. Similar in composition to gastric juices, lemon water suitably stimulates the production of hydrochloric acid and gets all the gastric juiced going in the stomach, which in turn plays a huge role in the digestion process. Lemon water also stimulates the secretion of bile in the liver, encouraging improved digestion. All these effects thus help to cure any gastro-intestinal problems, such as an upset stomach, constipation, bad digestion and gas and also heartburn, which can be extremely uncomfortable and painful if untreated. The citric acid present in lemon water encourages a slow and steady processing of the food. This slow process reduces the chances of sudden spikes in insulin levels in the body, and also helps to imbibe the most nutrition from the food. Also, the slow process does not produce as much gas as it otherwise would from the processes of digestion, thus avoiding any problems of bloating and embarrassing flatulence issues. Also, the slow process does not produce as much gas as it otherwise would from the processes of digestion, thus avoiding any problems of bloating and embarrassing flatulence issues. As mentioned earlier, lemon is probably the only fruit, even amongst all its other citrus cousins, with the highest amount of Vitamin C packed into it, making it a vitamin C powerhouse! The juice from a single lemon provides about 19 mg of this vitamin. Since it is not produced naturally by the body, it’s necessary to consume the daily required amount from external sources, and guess what – one single glass of a lemon’s juice in water gives you just the required amount, and more! Vitamin C is the basic element required for a healthy and functioning immune system as it helps and enables smooth functioning of the process of creation of white blood corpuscles, WBCs for short. These cells are like the fighting soldiers in our body’s defense mechanism. That’s right. It’s not just apples, but lemons too can keep that dreaded doctor’s visit away. For common things like colds and flu which don’t really have a specified allopathic cure, stocking up on vital vitamin C is necessary for easy and effective recovery. A daily dose of this wonderful tasting drink can help those immunologically compromised. In today’s world where stress in the workplace, and sometimes even at home, is so common, it is essential to keep the immune system of the body at top notch levels. The high vitamin C in lemons also provides improves accurate and better eyesight, makes for stronger bones and smoother joints and also better teeth. This is because Vitamin C enables the body to absorb the iron content from the food better. A natural antioxidant due to the presence of flavanone compounds, lemon juice helps to protect molecules of proteins and fats against the harmful effects free radicals and enzymes which oxidize and damage them. They defend against the deteriorating effects that free radicals reign over the skin cells, and helpin effective regeneration of cells, a necessity to promote faster healing of wounds and other internal damages. They defend against the deteriorating effects that free radicals reign over the skin cells, and helpin effective regeneration of cells, a necessity to promote faster healing of wounds and other internal damages. Anti-oxidative properties also help to rejuvenate and heal the skin of damaged and dead cells and thus promotes an overall glowing and healthy skin appearance. Look young and healthy forever, at no cost! The antioxidant property of vitamin C also plays a huge role in the formation of the protein called collagen, the hero in maintaining the natural elasticity of the skin. Due to aging, people approaching the age of 40, for some at an even younger age based on their lifestyle habits and genetic properties, there is a considerable and unfortunately noticeable decline in the elasticity of skin giving rise to lines and wrinkles. This special protein collagen aids in the effective smoothening out of these not-so-pretty lines which form on the face and hands. This is of immense potential and use in the beauty industry, negating the need for artificial and extremely expensive cosmetic procedures which have a large number of risks and potential damages. A study on this topic by scientists concluded that the regular and daily intake of the required amount of Vitamin C produces lesser wrinkles and promotes a much younger appearance, and is a much better way to do so as it is completely natural, doesn’t cost you more than a few bucks and is absolutely free of any dangerous side-effects. Now, enough with the Vitamin C. Let’s move on to the other major nutrient found in lemon, the glorious potassium! The potassium content of lemon juice regulates the blood pressure of the heart, controlling the flow of blood through the arteries and veins and making these nerves more flexible. It thus effectively reduces the risk of heart attack and stroke, which are principally caused to increased blood pressure. Higher levels of potassium are nourishing to the brain and nervous system cells, improving the abilities to concentrate and retain memory – hence considering anything with potassium as brain food. It also enables a better sleep and is considered a cure for insomnia. The high potassium content in lemon water also contributes to a greater strength of the bones and teeth.The high vitamin C helps the body’s calcium and iron-absorbing qualities which ultimately strengthens the bones, and also prevents osteoporosis in elders. Of corse, in the case of the teeth, careful precaution must be taken with the enamel erosion by diluting the lemon and rinsing the mouth after a drink. Though lemon water itself is a highly acidic property beverage, from all the citric acid content, it surprisingly has a considerable alkalizing effect on the body. Yes, it is hard to believe, but it is also very provably true – upon entering the blood flow, the alkalis come to the fore. This acid-neutralizing effect is immensely helpful in maintaining the required pH levels in the body. If the pH levels rise above 7, it means that the body has become too acidic which leads to the condition called acidosis, as a result of which there will occur crystallization of uric acid deposits in the bone joints and painful inflammations in that same location– a condition called gout. This harmful situation has another major dangerous consequence – the formation of stones in the urethra, otherwise known as kidney stones – a very painful condition causing extreme discomfort while urinating. Doctors recommend a regular consumption of lemon juice which produces calcium carbonate, the necessary element to neutralize the condition of acidosis and combat all associated problems, especially amongst the elderly. To increase the befits of lemon juice in treating gout, it is recommended to add some baking soda, in the ratio of 1:4 (baking soda: lemon juice) for the perfect amount of pH level needed. Notice that the headline doesn’t mention “helping weight-loss”, but instead it says helps “combat weight-gain”. This is because consuming lemon water does not actively help you reduce or lose your weight. Yes, you heard that right! Lemon water actually plays a more passive role in the whole process of losing weight, despite what many other tabloids and health blogs may claim. The science behind the role of lemon water when it comes to the case of weight gain is that lemon water contains a common fruit fibre known by the name pectin. This fibre gives a longer satiated feeling than other foods and prevents an increased appetite which thus discourages regular and binge eating and midnight cravings. The lesser you eat, the more you can lose weight! Another way in which lemon water helps you in your weight-loss regime is that it works as a replacement drink instead of other calorie-high drinks such as caffeine, sugar-loaded fruit juices, and so-called energy drinks, most of which just contain unspeakable amounts of glucose which considerably adds weight. Replacing these with an easy to make and take lemon water drink is thus an obvious way in helping you combat weight gain. Lemon water is considered to be a somewhat mild but highly effective diuretic – substances which promote frequent urination. It aids in stimulating frequent urinary tract action which thus enables continuous excretion of urine and with it, the excretion of harmful toxins accumulated in the body. This reduces a person’s chances of getting kidney stones, which is mainly caused by this unwanted accumulation, and also prevention of urinary tract infections due to bacteria accumulation. Moreover, due to the presence of citric acid, the citrate content present in urine increases which also further decreases the chances of kidney stones, and also helps break down already existing small stones. Doctors suggest daily consumption of lemon water makes for a much cleaner and smoother functioning of the excretory system as a whole. Lemon water also stimulates enzyme function, thus helping in natural detoxification of all organs. As a member of the citric family, lemon holds up its reputation of fighting common cold viruses, and other viral infections too. This is by way of its ability to increase immunity. The citric acid also helps in the dissolution of uncomfortable phlegm in the nose and throat. High quantities of the C vitamin and the anti-oxidant properties found in lemon help in the smoother working of muscles thus freeing the airway passage tube. The bright sunny yellow of lemons comes from the compound bioflavonoid. This compound doesn’t just make the fruit all cheerful but also helps in stimulating insulin secretion which keeps a watch on the body’s sugar levels. The potassium in lemon helps in proper functioning of the cardiac system and nervous system, preventing high blood pressure effect on both. The tangy citric flavor and scent is a boon for all nausea suffering patients. Just the smell of the fruit is enough to combat this uncomfortable situation. Squeezing some concentrated lemon water into the mouth also provides some relief. Taking a lemon along with you, if you tend to get motion-sick, is a good idea, and easy too! Lemon is believed to increase the body’s immunity of cancerous cells, with a steady regular consumption of the same. This is again due to those cheery yellow bioflavonoid compounds, which help prevent oxidation of cells and harm from free radicals. It also helps in the remedial measures to eliminate remaining radiation after a chemotherapy or radiotherapy session for the people who are diagnosed with cancer. Studies suggest that the very smell of a lemon instantly helps in the better mood- ah yes, that’s why most deodorants and air fresheners come with that oh-so-wonderful and fresh citrus scent. Some researchers also swear by lemon’s abilities to fight against depression and anxiety, which is linked to the presence of potassium in lemon. Though there are no hard facts and proof to guarantee this effect, it can be observed that these cheery-colored small fruits do add some energy to the body, and may thus benefit the mental status too. I know most keto dieters don’t want to hear this but… Instead of a coffee as the first beverage of the day, lemon juice is a much healthier and better first drink of the day than anything else. It also helps to avoid the post caffeine high crash, which usually descends during the mid-afternoon times, which is also the most important time in office hours, when meetings are scheduled and clients are sharp. This would be the worst time to be burned out. From now on, replace that cup of coffee with an easy on-the-go lemonade, and you’re all good to go or the next office promotion. H20 and lemon – better metabolism and better skin too! It’s no new information that the human body comprises of an average 60% water. This mineral liquid is very much required for the normal functioning of the body and its processes – right from the cellular level (protein production) to the organ level (digestion, circulation etc.). A well-hydrated system is essential to kick start the body’s metabolism. Thus the necessity for a well-hydrated body can never be overstated! Lemon water consists of a large quantity of water and enables hydration. Lemon water also helps in cooling down the temperature of the body, especially during summer months when excessive dehydration is observed. The lemon’s work here is to increase the alkalizing property of water and plus, most people would prefer a tangy twist to regular water over the normal version of water. Scientists also demystify the alleged “benefits” of a lemon detox cleanse and attribute its supposed benefits to the high amounts of water, and not to the lemon juice itself. More information on this below. Lemon also helps in relieving horrible toothaches and gum issues such as gingivitis and scurvy. This is because of the vitamin C and anti-oxidative properties which promotes healing. Based on several studies, it was found that lemon juice helps in reducing the onset of physical and mental fatigue, over time. Lemon water is known to improve the strength and durability of bones, help improve the levels of cholesterol in the body and also regulate and maintain appropriate blood pressure levels and blood flow. It also helps control severe sugar problems owing to its ability to reduce the rate of digestion, and consequently maintaining insulin levels. Lemon water is known to improve the strength and durability of bones, help improve the levels of cholesterol in the body and also regulate and maintain appropriate blood pressure levels and blood flow. It also helps control severe sugar problems owing to its ability to reduce the rate of digestion, and consequently maintaining insulin levels. The latest fad in the health and diet circle is the case of a lemon detox master cleanse and its supposed positive effects on health and weight-loss. This topic has been of huge debate in the medical field ever since its advent, creating many controversies and issues. A lemon detox plan constitutes that for a period of 10 days, only lemon water is to be consumed in specified intervals, in addition to other fluids, with strictly no solid food consumption. This is believed to be the best way to flush out all toxins from the body, help the body lose weight and also rejuvenate the digestive tract system. This is believed to be the best way to flush out all toxins from the body, help the body lose weight and also rejuvenate the digestive tract system. Peppermint teas, or other forms of tea, as a remedy for consequential nausea and dizziness. After ten days, slowly reintroduce solid foods into your diet, beginning from fruits and vegetables to not overwhelm the digestive system after so long of starvation. This lemon detox diet plan was made even more popular by celebrities such as Beyonce and the like who claimed this as the secret to their weight-loss and gain and glamorous healthy bodies. Drawn to the ideas of “rapid weight-loss”, most people fall for this plan and wish to become just like their idols on screen, without considering the potential dangers that such sudden detox plans can do their bodies. Drawn to the ideas of “rapid weight-loss”, most people fall for this plan and wish to become just like their idols on screen, without considering the potential dangers that such sudden detox plans can do their bodies. So, if everyone believes in this lemon detox, it must work, right? 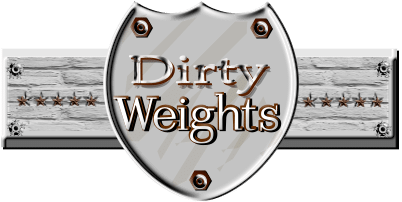 Several well-established doctors claim this idea of depriving the body of all food in the name of resting it from all tedious digestive processes as a means to strengthen the body is absolutely ridiculous and may even end up being harmful. A lemon detox not only deprives the body from good nutrition and food, it also weakens the system in general providing much less energy and causing fatigue. Plus, if there is no solid food in the diet, there would also be no fiber to enable the pushing out of all the waste! The human body is designed to sustain only for a few days without some solid food matter, and if you’re going to starve it for around 10 days straight, that will only cause quite a lot of unnecessary stress on the body’s system. The lemon detox is only a fad and fashion diet. Do not fall for its chic name or tall claims which still are scientifically not proven, is what doctors say. So what is the best way to cleanse the body, then? The body has over the years evolved its own ways of removing the toxins from the body, naturally. It’s got the situation under control on its own! The liver detoxifies whatever possible, and the stomach and intestines flush out all harmful things in the form of faeces, and the bladder as urine. The lymphatic system, much larger than the blood circulatory system, solely works to remove the toxin build up in the body. consuming ample loads of water to keep yourself well hydrated and flush out all the harmful toxin build-up in the body, either through the bladder or intestines. following a high fibre rich diet with plenty of multi-coloured fruits and vegetable. The high fibre helps to smoothly flush out all the wastes in the form of faces. Of corse, the consumption of lemon water DOES aid in this kind of natural detoxification, but not in the crazy manner which a “lemon detox master cleanse diet” claims to, that is, not by starving and having only lemonade for a couple of days with no food. Along with a regular diet, lemon water does reap all the benefits mentioned above in full scale, not in solitude with no solid food intake. In the late 18th century, it was discovered that the addition of lemon to the diet of sailor’s greatly helped in treating the break-out of scurvy – though at that time, it was not known as a deficiency symptom of the Vitamin C. This conclusion made lemon almost as valuable as gold, as it was the only remedy helping in the similar treatment of miners who also exhibited severe symptoms of scurvy. This conclusion made lemon almost as valuable as gold, as it was the only remedy helping in the similar treatment of miners who also exhibited severe symptoms of scurvy. What are you waiting for? Nature’s elixir is waiting, just two minutes away. Now, it’s time to stop reading and start some doing! We all wish to live a better life than we do right now. And as cliché as it may sound, your happiness ultimately depends upon your health; wealth only comes after that. The amount of information available on the benefits that daily lemon water consumption can reap on the human body’s health is conclusive of the evidence that proves the simplest things make for the best things. The amount of information available on the benefits that daily lemon water consumption can reap on the human body’s health is conclusive of the evidence that proves the simplest things make for the best things. Make a change, starting today. Make lemon water a part of your daily routine and see the evidence right before your own eyes. If you’re not the kind who likes drinking lemon beverages that much, then there are many other ways to add some lemony zing to your foods too! Just squeeze in some lemon on a keto salad for lunch. There is so much you can do with the lemon juice and pulp. The skin of the lemon can also be used in many ways– it provides a sourer but citric taste which you could take advantage of. It’s all your own choice. Lemon is used as a natural disinfectant and can be used to clean and sterilize your house, as a cleanser! It is also used topically to improve hair softness, as a treatment for dandruff, acne and other skin problems. As a natural deodorizer emanating a wonderful citric smell. Lemon water is one of my secret weapons when it comes to keto. 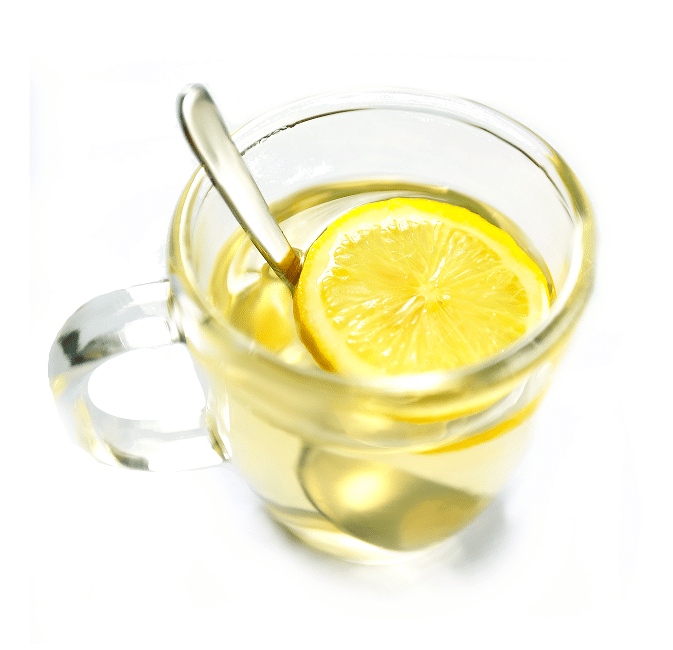 Whether you're drinking lemon water before breakfast or hot lemon water for colds. But will it stop my fasting in the morning? are speaking intelligently about. I’m very happy I came across this during my search for something regarding this.